The churches are fond of telling tales about “Christians” who lose their salvation and then find it once more. Have had several discussions lately about those who get caught up in cycles of walking away from Jesus, supposedly repenting, walking away, supposedly repenting. Can someone who TRULY has had their life transformed by the new birth turn their back on the One who laid down His life for us? Only God knows the heart. Only He knows whether a true transformation has taken place–or merely the appearance of one. There is no talk of “backsliding” after the sacrifice of Jesus. “Backsliding” is a term used with the OLD covenant. What of those who claim a new birth but cling to the things of this world? What does the Bible say about those who have had the truth and walk away from it? This writer knows stumbling–the Bible says Christians who are transformed will stumble or struggle with sin–but what of those who rush headlong back to their former ways? Who trade Jesus for cheap thrills? Is that biblical–or is it something someone who has known the truth says to ease their conscience while engaging in what they know is planned sin? Is that biblical–or is it something some who pretends to be a member of the kingdom of heaven says to explain his heathen behaviors? That situation is a completely different one from stumbling. When there is no struggle, it is willful sin. This was part of the answer given yesterday. We Christians in 2014 America have been taught that someone who is saved can move easily back and forth between the world of darkness and the kingdom of light. We see it apparently happening so often, it must be true, right? But I wonder? And yes, those who call themselves “ex-Christians” are perhaps the saddest of all. It makes one wonder if they were really ever Christians to begin with? The mercy of the Lord is such that humans can never know the end of it. But Scripture tells us that His perfect mercy is tempered by the other attributes of His perfection. Jesus Himself spoke of one. Christians love the parable of the Prodigal Son–as well they might. But the wayward son was foolish before heading back home (One considers the many examples of the word “foolish” and the word “wicked” being synonymous in the Bible). It can be argued that the Prodigal Son did not have the knowledge of the truth when he left home but that his experiences in the world of sin helped bring him to the truth. Christians are also aware that all heaven rejoices at the saving of a sinner. Some church-goers appear to have the view that heaven is holding one long, continuous celebration over the same sinner walking away, returning and walking away again. At the very least, such a cycle of deliberate sin and repentance is extremely dangerous. 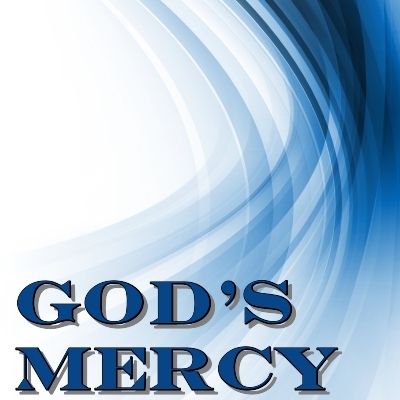 DOES the reader believe he is entitled to God’s mercy whenever it proves convenient?